Pilate asked Jesus this very question nearly 2,000 years ago when questioning our Lord about His guilt or innocence. The Jewish leaders – with the aid of false witnesses – had charged Jesus with blasphemy and sedition, and sought the death penalty for Christ. Jesus confirmed that He was indeed a King, but His Kingdom was different from any earthly kingdom. His was a SPIRITUAL kingdom. He went on to say that His purpose in being born into this world was to “bear witness unto the truth.” Pilate responded by asking the question, “What is truth?” before walking away. Matters of religion seem to be in step with this trend. It is common for people in our current culture to base their beliefs on things of a relative, subjective nature. People often believe what they do because of tradition, human reasoning, personal preference, and even peer pressure. They often believe or disbelieve something because they FEEL it is right or wrong. Or, because someone in authority has told them it is. Or, because it has always been considered as so by the majority. Or, because it lines up with what they like or dislike. The Bible teaches us otherwise. 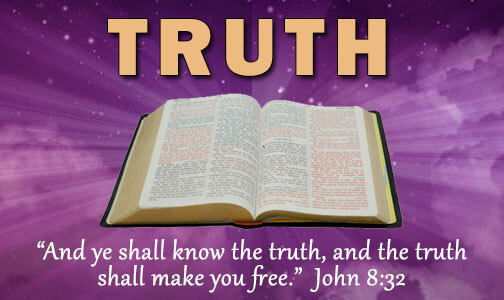 Jesus came into the world to “bear witness unto the truth.” Jesus identified Himself as “the Truth (Jn 14:6).” He promised that the truth will make you free (Jn 8:32). He promised the apostles that He would send them the Holy Spirit Who would guide them into all truth (Jn 16:13). He also told us that God would separate obedient believers from the rest of the world through that truth – revealed word – (Jn 17:17-21) and that He would judge the world by His word in the last day. So, it is essential that we know the truth and we evaluate our own lives honestly and frankly in light of God’s revealed word. Our eternity depends on it. God’s reality is that truth does not nor can not CHANGE no matter how much we want it to. But thankfully, unlike truth, our religion and beliefs can. 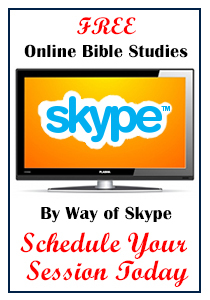 Won’t you visit with us for Bible study and worship as we explore together God’s word with open minds and open hearts. Previous Previous post: Are You Happy? Next Next post: A Good Work We Are Privileged To Support!